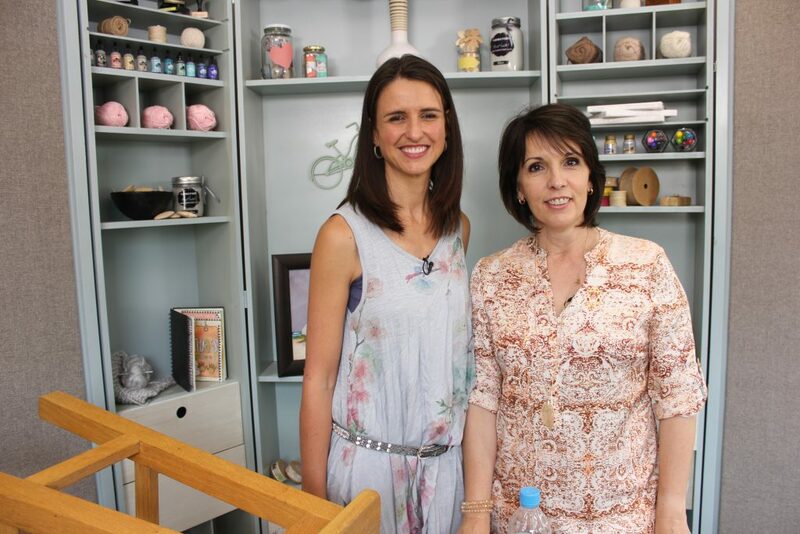 This week on Show Me How, we add some finishing touches to our refurbished Home Studio with Nadine Vosloo of Paint Master. The Tjhoko colour palette was designed in such a way that all the colours complement each other. So you can pick and choose the colours that you like and they will always match. For this project we used Coral Stone, Vinia Stone and Comfort’s Blue. Clean the surface being painted by wiping it with a cloth dipped in some Thinners (NOT TURPS). This will remove any oily residues from furniture polish or furniture oil. Wait a few minutes for the Thinners to evaporate and start painting. 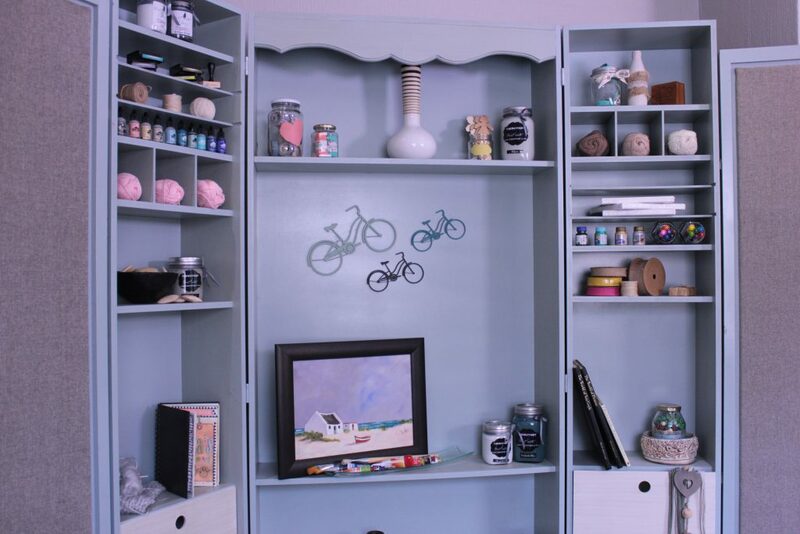 Simply dip your paintbrush in the jar and start painting the surface. 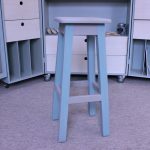 You can decide if you want your chair all one colour or to add some fun, paint the legs of the stool in a different colour of your choice. 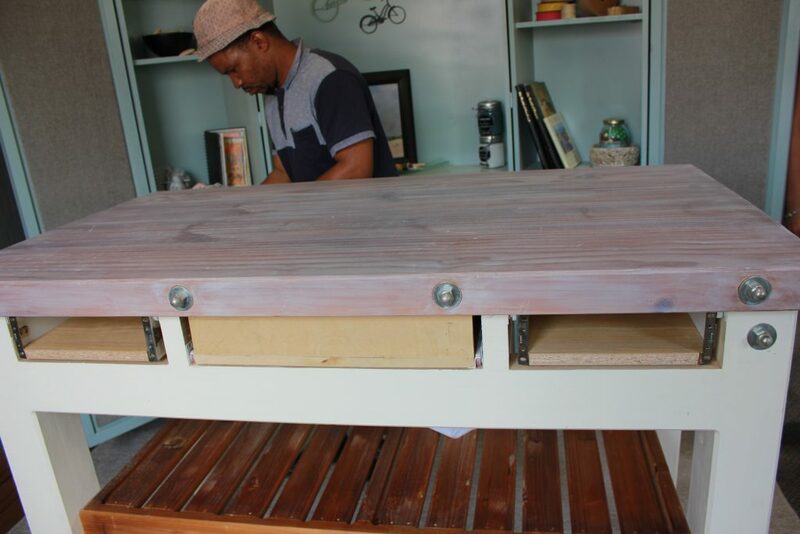 Adding a white wash to your piece will tone down the colour and add some extra detail. 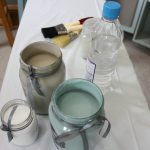 Mix together 1/3rdwater, 1/3rd paint and 1/3rd Clear Glaze (After mixing the above ingredients, if you feel the colour is too light, simply add more paint. If you feel the colour is too dark, add more Glaze Clear). Nowtakea clean, colourless, damp cloth, dip it intothe paint mixture and simply wipe the painted surface with it. One easy step for a washed, sealed surface. 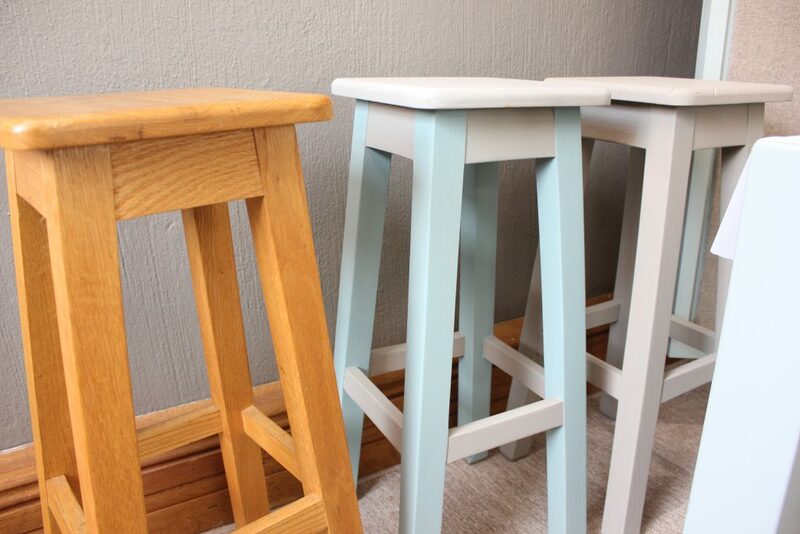 To create a distressed look, use 60grit sand paper and lightly sand the edges of the stool. 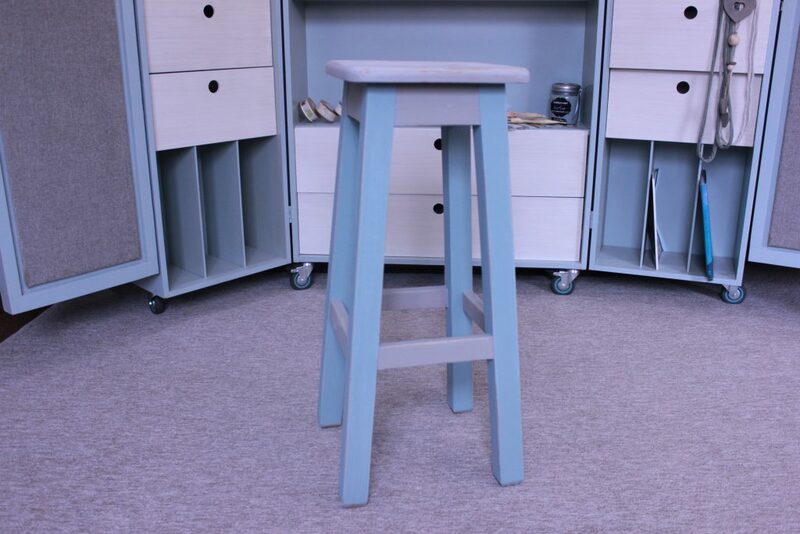 Your bar stool is now complete and ready to be used. 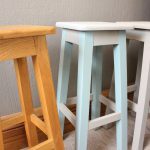 This technique works best on raw wood surfaces or Tjhoko painted surfaces. 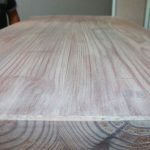 The woodneeds to absorb the moisture. 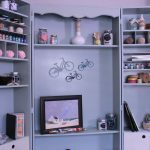 If there is varnish or sealant on the surface you want to paint, first sand it down a bit to create the desirable condition for this technique. Clean the surface no sanding or priming. 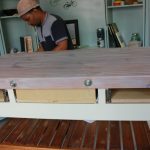 Simply wipe it with a cloth and Thinners (NOT TURPS), wait a few minutes and paint. 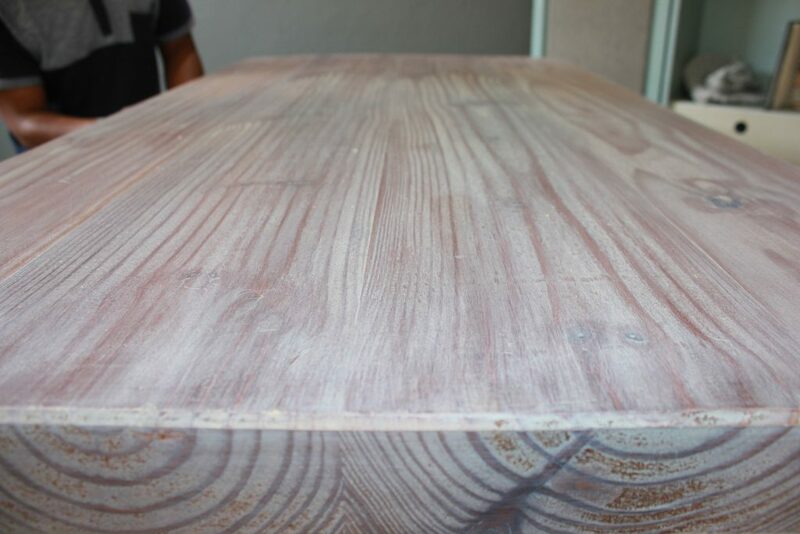 We used Vinia Stone for the frame of the table. 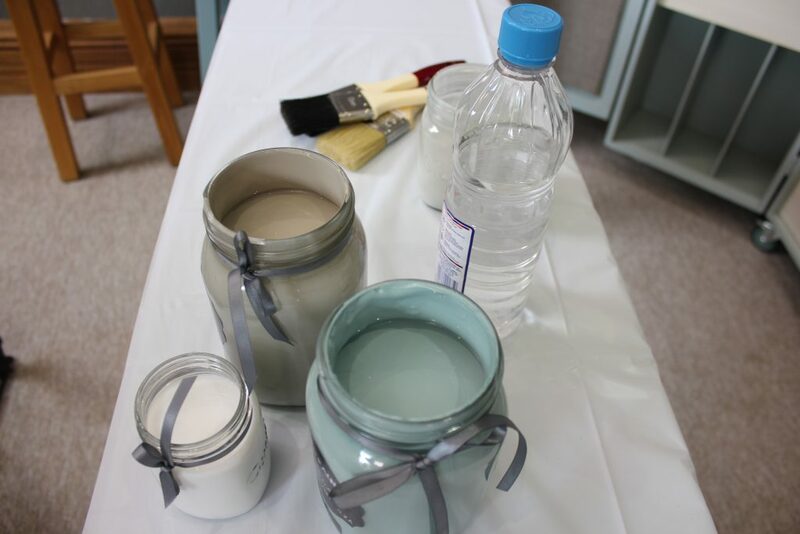 Mix together 1/3rd water, 1/3rd paint and 1/3rd Clear glaze (After mixing the above ingredients, if you feel the colour is too light, simply add more paint. If you feel the colour is too dark, add more Glaze Clear). Take a clean, colourless, damp cloth and dip it into the paint mixture and wipe the surface. One easy step for a washed, sealed surface. It will dry within seconds. 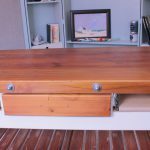 Let the table dry, once it is dry put the drawers back in place. Your table is now ready to be used. 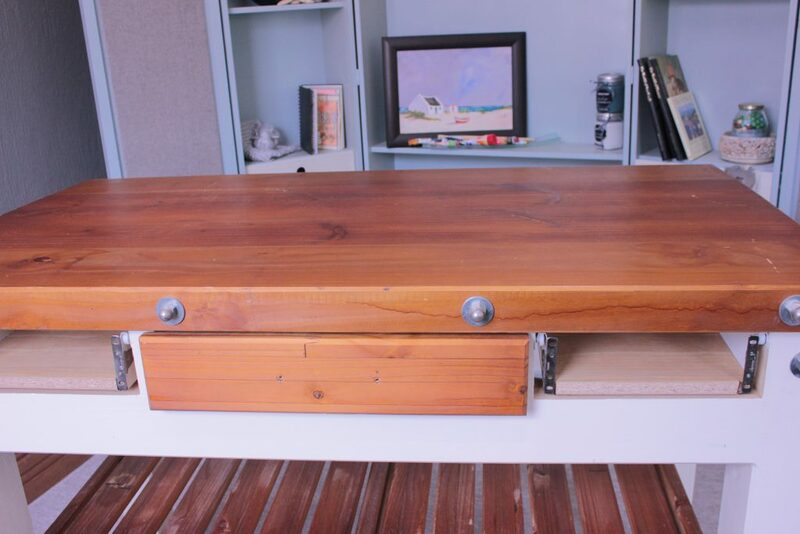 Paint the surface of the drawers and allow it to dry, approximately 20 minutes. The order in which you use the colours, doesn’t matter. Randomly apply a generous amount of Vaseline on the painted surface, using your fingers. Now paint a contrasting colour, over the Vaseline and make sure you cover the entire surface. This coat of paint won’t stick to the areas that have Vaseline. Wait for the paint to dry, use a paint scraper and scrape the paint from the Vaseline coated areas. Repeat step 3 until all the drawers are complete.